A light weight long sleeve that fits any occasion. Dickies long sleeve shirt with slim fit 100% cotton jersey. 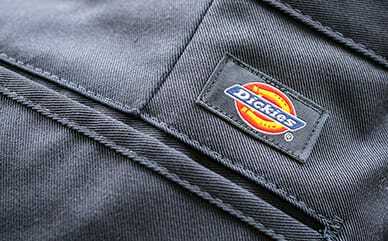 Features either white tread print on both sleeves and Dickies logo print on left chest or logo and icon logo.